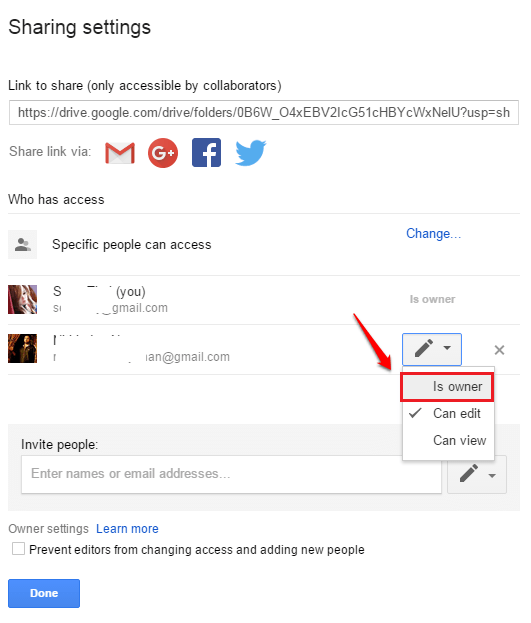 How To Transfer The Ownership Of Files And Folders In Google Drive:- Let’s say you are an application developer in a company. Your company uses Google Drive to store its data. You save all your application files into your drive and share it with your colleagues and then one day you decide to leave the company. But the owner of the files and folders that you have created is still you. Upon leaving, you need to transfer the ownership of those files and folders to someone else in your company. That’s when the ownership transfer feature of Google Drive comes in handy. There could be other situations as well when you would want to transfer the file/ folder ownership to someone else. The steps below describe how you can easily transfer the ownership of Google Drive files and folders with a very few number of steps. Go to Google Drive web application and login with your Google credentials. Once logged in, find the file/ folder that you want to transfer the ownership. 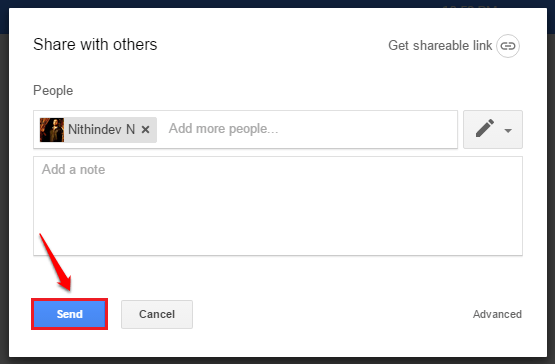 As next, click on the Share icon at the top part of the screen if the file or folder is not already shared. If it is shared already, then you can straight away go to step 4. In the sharing screen, enter the Email id of the person to whom you want to transfer the ownership of the file/ folder. 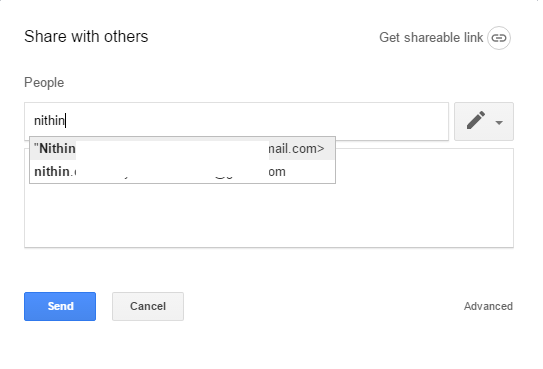 Once the Email id is entered, hit the Send button to send them a mail containing a link to access the shared file or folder. 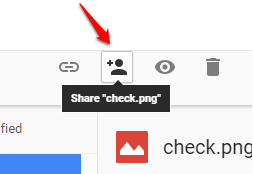 Once the file or folder is shared, click on the Share icon once again. As next, click on the Advanced link as shown in the screenshot given below. Now find the person to whom you want to transfer the ownership of the file under the section Who has access. Click on the drop down menu associated with the Edit icon. Choose Is owner from the list of options. Hit the Save Changes button once you are all done. You will be asked for confirmation in the next step. Once you transfer the ownership, the other person will become the owner. That person can remove your access to the file/ folder. So click the Yes button only if you are sure of transferring the ownership. That’s it. We are all done. 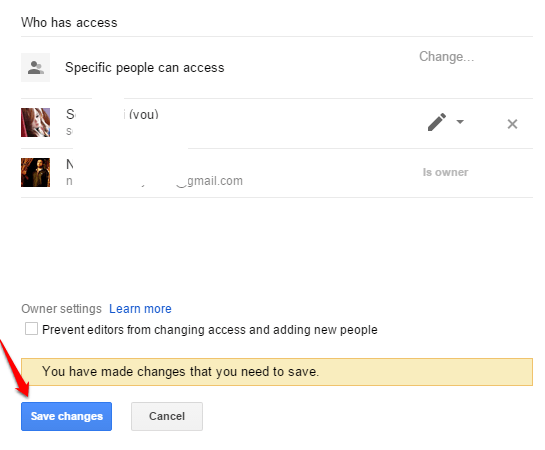 Do not worry about the ownership transfer of files and folders stored in Google Drive anymore. Hope you found the article useful. Please leave out your suggestions or comments in the comments section below.